I love listening to music. Especially country music. My teenage sons often complain I play my music too loud. That's probably because it's not the kind of music they like to listen to. We authors/writers all have our own preferences when it comes to writing. Some like complete silence, others can write in a public place, some need seclusion. I do my best writing in the middle of the night, when I am completely alone. I am a night owl, since I work graveyard, and on my days off I tend to be awake at night as well. During the day while my boys are in school, I have the privacy and solitude of the living room. When I first began writing Yellowstone Heart Song, I had a few songs I would listen to that helped stir the emotions for me for certain scenes. One of my favorite songs at the time was You and Me, by a band called Lighthouse. I'd heard that song years ago at a wedding. 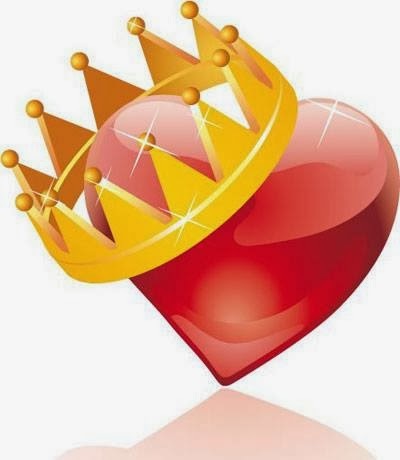 A few other songs followed, such as Just a Dream by Carrie Underwood, and Can't Love You Back, by Easton Corbin. So, when it came time to write Book 3, Yellowstone Awakening, I had to have a "theme song" to go with it. I would listen to the local country station for hours, trying to find the song that would fit with my story. I was well into Chapter Eight, when I finally found the perfect song. It's called Love Don't Run, by Steve Holy. Luckily, I already found my theme song for Book 4, Yellowstone Dawn, before I started writing that story. It's by Faith Hill, and the title is Come Home. Yellowstone Redemption Release on February 1st! Book 2 in the Yellowstone Romance Series, titled Yellowstone Redemption, will release on Amazon (kindle version) on February 1st. I'd like to share the book cover, brief synopsis, and an excerpt from the book. Scroll past the picture for a brief excerpt. A choking sensation startled him awake. Something cold and sharp pressed into his throat. His eyes shot open as he tried to back away, but the pressure increased. Startled, Chase stared into the darkest, most ferocious eyes he had ever seen. A black-haired man leaned over him, his forearm pressed across his throat, the cold blade of a large hunting knife grazing his jugular. “Where’s Sarah,” the dark man growled in a low voice. Chase couldn’t speak. He couldn’t breathe. He struggled against the restraint, which only encouraged his tormentor to increase the pressure. This wasn’t happening again, was it? A little over two weeks had passed since the last threat on his life, and now he was staring death in the face again. “Where’s my daughter?” the man growled again. Although menacing, he spoke so calmly, he could have been simply shooting the breeze, as if this was a normal way for him to have a conversation. Chase tried to speak. Only gurgling sounds escaped his throat from the man’s tight hold. Sarah’s father must have realized he was trying to communicate. His hold lessened. Chase gasped for air. Abruptly, the large man grabbed him by the neck and pulled him off the bed. Chase scrambled to get a foothold on the ground. Sarah’s father slammed him face first into the wall, twisting his arm behind his back. The older man released his hold and took a step back. Chase breathed a sigh of relief. Slowly, he turned to face Sarah’s father. The man was a good inch shorter than he, but there was no question who would come out the victor in a fight. At least twice his age, the man projected strength and confidence. Chase could hold his own in a good bar brawl, but he had no intention of going head to head with this man. “Tell me what you’ve done with my daughter,” he said in the same eerily calm voice as before. I recently had an interesting discussion with my critique partner about naming our characters. How do we authors come up with names? Do we just go through a book of baby names, and come up with something we like? When writing historicals, we obviously need to choose names that fit the time period. For me, when I wrote Yellowstone Heart Song, it was a no brainer what my hero's name would be. Daniel, or the variation Nathaniel, was a popular name in the 1700's, and 1800's. It was also the name of a favorite character of mine from a book I once read. My heroine, Aimee, is a modern woman, so I was able to choose pretty much anything. I like the variation in the spelling from Amy to Aimee, but the pronunciation is the same. In Book 2, Yellowstone Redemption, my hero is a modern man, so I chose the modern name Chase Russell. I "borrowed" the name from a contemporary story I had been working on (but have abandoned), with the intent of changing it later, but it stuck. The heroine for Book 2 needed a period name, and Sarah seemed appropriate. Now for last names. It took me a while to come up with a last name for Daniel. Finally, the answer stared me in the face. I was reading a book (for research purposes) written by a 19th century trapper in the Rocky Mountains. This man's journal is one of the most complete accounts of a trapper's life, and a fascinating read. The book is called Journal of a Trapper, and his name was Osborne Russell. I had my last name for Daniel, and subsequently a last name for the next hero as well. So often when reading western historical romances that feature Native American characters, it deals with the big plains tribes, such as the Sioux, Cheyenne, Apaches, etc to name a few. Those tribes that frequented the Rocky Mountains in the early 1800's are a bit lesser known. There were the Crow (certainly well known), Blackfoot, Flatheads, Bannocks, and Shoshone. Although many tribes migrated through the Yellowstone region, only one tribe made it their permanent home. This was a small, very reclusive band of Shoshone, who called themselves the Sheepeaters. There are various spellings of the name in their native language, but the one I went with in the Yellowstone Romance Series is Tukudeka. I believe the actual translation means "eaters of meat". The Shoshone bands tended to identify themselves by their diet and region of habitation. The Tukudeka were primarily hunters, and perfected the art of hunting bighorn sheep in Yellowstone. There are still many archaeological sites in the park, giving evidence to their existence in Yellowstone. They lived in small family groups, not large tribes, and were known for their amazing hide tanning ability, and creating hunting bows made from elk antlers and bighorn sheep horns. The process to make these bows took months, and included soaking the horn in hot springs to soften them to make them bendable. These bows were highly prized, and rarely traded with other tribes. Daniel Osborne, the leading man in Yellowstone Heart Song, was raised by a group of Sheepeaters, and I have tried to depict their lives and customs in this book, as well as the next installment, Yellowstone Redemption. My main source of information came from a book called Mountain Spirit: The Sheepeater Indians of Yellowstone. Last summer, while on a hike to see Sheepeater Cliffs, we sort of went off trail a bit, or at least the trail was hardly used, making it less obvious (not recommended, by the way, if you're not wearing sturdy shoes. The rocks and cliffs and boulders we climbed over had me wondering how all four of us made it out of there without a sprained ankle) along the Gardner River. Suddenly we stood at the top of a large cascade/waterfall. Nowhere on a park map was this identified. To satisfy my curiosity, I consulted a book called Yellowstone Waterfalls and their Discoveries. Turns out this falls was un-named by the park, but the authors of the book named it Tukuarika Falls (another variation of the spelling for Sheepeaters). I have a confession to make. I am afraid of bears. One of the many things that attract visitors to Yellowstone is to see bears in their natural habitat. I certainly love seeing the road-side bears from the safety of my car, or standing with hundreds of other visitors who spot a bear in the distance (safety in numbers, right?) but encountering one on a trail miles from the road with just your family, even armed with a can of bear spray, is quite something else. This fear has severely limited my hiking experience in the park. There are so many great off-the-beaten path hikes I would love to do, but my fear of a bear encounter holds me back. My husband wants to go backpacking in Yellowstone, aka staying overnight in a remote campground. No way! Last summer, we (my husband, two teenage sons, and I) were on an early morning hike near Canyon, on the Ribbon Lake Trail. Due to the severe winter weather that year, many trails were still covered with snow, and the trail crews hadn't had the chance to come through and clear this particular trail. It led through a dense forest, with many downed trees to scramble over. We must have been about two miles into the trail, when my mind went into panic mode. We probably saw one or two other hikers, but there were plenty of bear tracks everywhere. I refused to continue on, and insisted we turn around. Seeing a lake in the middle of the forest was just not that important to me at the time. Reluctantly, my husband turned us around. My kids had great fun mocking me, and my fear, for the remainder of our stay. Two weeks later, I read a news account that a hiker had been killed by a grizzly in Yellowstone along the Wapiti Lake Trail. It was the first bear-caused fatality in the park in over 25 years. The attack occurred just a few miles south of the Ribbon Lake Trail that I chickened out on, less than a week after we were there. Realizing the grizzly geared up for another attack, her eyes widened. She stumbled backwards, nearly tripping on a rock. Just as she envisioned huge claws ripping her apart, the ground suddenly dropped out from under her feet. Her arms flailed wildly and she groped for any kind of hold on a rock or protruding tree root. Her throat tightened, and her jaw clenched. Her efforts prevented a complete free fall, but the downward momentum proved too great to get a solid grip on any object. Her ribs jutted against unyielding rocks, knocking the air from her lungs. Roots and small trees cut into her arms and hands. When would she stop falling? It felt like an eternity, like she’d been sinking all her life. Her limbs became numb to the sensation of slamming against hard rocks. She stopped hearing the debris falling along with her. Her momentum increased, and her stomach rose to her throat. The sensation of floating through the air, then a sudden hard impact. 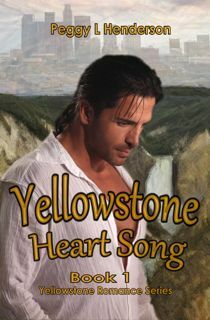 I'm pleased to introduce the book cover for Yellowstone Heart Song. Created using Picture It! photo editing program. I realize there are more sophisticated programs out there, and this is a very old, simple editing program, but it is so easy to use, and that's what I need. The background is two photos stitched together. The bottom photo depicts the Lower Falls of the Yellowstone River, and the skyline is a modern-day California city skyline, faded out. Then I added the model in the foreground and text. Scroll down for a brief synopsis of the book. My husband, my two sons, and I travel to Yellowstone National Park every summer for a two week vacation. My husband and I began this tradition more than twenty years ago, when he introduced me to camping after we graduated from high school. 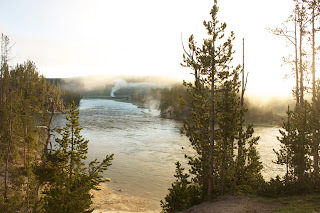 I immediately fell in love with Yellowstone - the spectacular scenery, the wildlife, and the thermal features. We've visited different places over the years, other national parks in the western US, and although each is beautiful in its own right, I am always drawn back to Yellowstone. We were fortunate to have visited the park in 1987, the year before the great fires of 1988, and seen the landscape before it was ever-changed (in a good way) by those fires. Summer of 1988 we chose to tour the coast of California before we even knew of the fires that would rage through the park. The following year, we returned, to find a completely different landscape. Gone were the magnificent forests in many places, replaced by charred trees, and acres and acres of beautiful purple fireweed flowers. Millions of tiny lodgepole pine saplings could be seen emerging through the black soil. The park hadn't burned and been destroyed, as so many people feared. Yes, the landscape may not be as green for the time being, but life was resurfacing everywhere, and the forests were undergoing a much-needed time of renewal. We have seen the birth of these new forests, and witnessed their growth and development over the last twenty plus years. 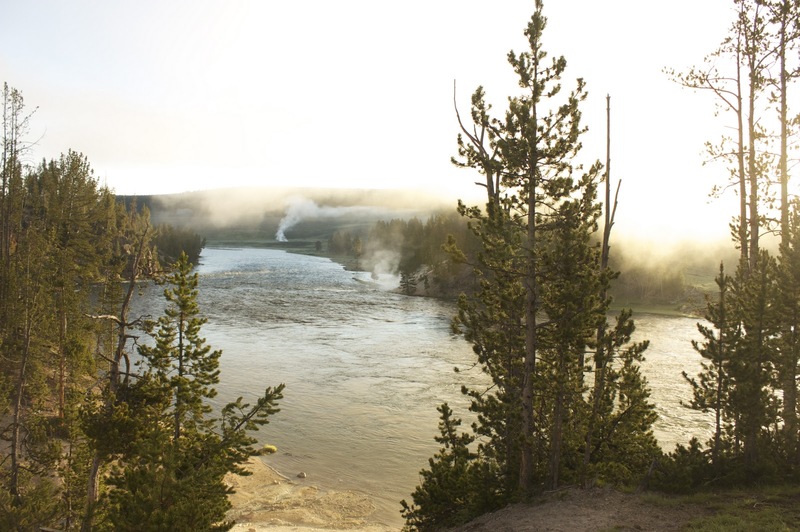 Yellowstone, the land of fire and ice, is an ever-changing, dynamic landscape. We never return with the same experience twice. Each year we visit brings new encounters, new adventures. Two hundred years ago, during the setting for Yellowstone Heart Song, the landscape looked much different than is does today. Whether due to natural forces, or the influence of man in later years, I had to envision some of these differences, and hopefully managed to portray them somewhat accurately in my novel.